No other offense for driving while under the influence of intoxicants pending at that time of entry into the DUII Diversion Program (this includes an offense under ORS 813.010; it also includes any statutorily similar offense in any other state or jurisdiction, and it includes an offense in another state or jurisdiction in which your BAC was greater than the allowable levels in that jurisdiction). There is no allegation of death or physical injury to any person in connection with the presently alleged DUII charged offense (see physical injury ORS 161.015). If you have entered the DUII Diversion Program, or equivalent program previously, you may still be eligible for a second diversion. Complete any other Court ordered requirements that may be included. Such requirements may include alcohol monitoring, among others. Must attend the DUII Victim Impact Panel (VIP). In Deschutes County, the DUII Victim Impact Panel is held once a month, on the last Wednesday of the month, beginning at 6:00 PM. The presentation lasts approximately two hours. The DUII Victim Impact panel is not free. Attendees are required to pay $40.00 in advance. In order to attend the DUII Victim you must make arrangements with the Deschute’s County District Attorney’s office. After completing the two-hour presentation, attendees will be provided proof of attendance. The certificate of proof of attendance is extremely important and must be provided to the Court as part of the Oregon DUII Diversion Program requirements. While duplicate certificates of attendance can be ordered, there is an additional cost and additional time required to obtain the certificate. 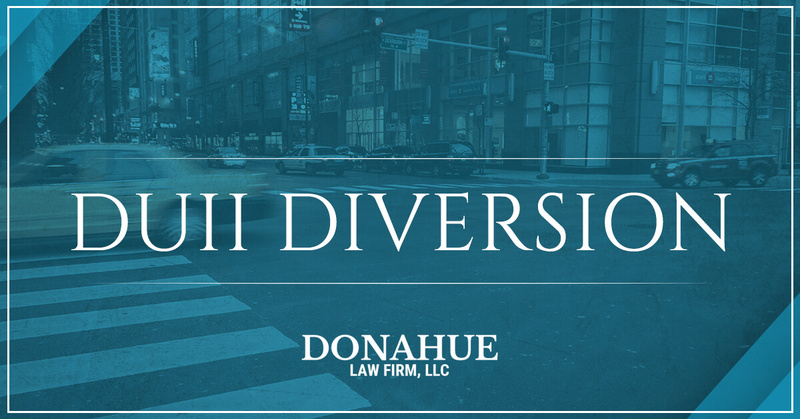 As a service to our DUII Diversion clients, it is the Donahue Law Firm’s policy to maintain possession of our client’s proof of attendance certificate until entry into the DUII Diversion Program. At the time of entry, we provide the certificate back to our clients for submission. The client then provides verification to the Court, or probation officer, depending on the circumstances of their DUII Diversion Program entry. The DUII Victim Impact Panel is a requirement of the DUII Diversion Program in Oregon, Central Oregon, Bend, and all surrounding areas. This is an additional requirement of the DUII Diversion Program. Generally, within 30 days of entry, you must obtain an alcohol and/or drug evaluation or assessment. The evaluation may be obtained by making an appointment with Central Oregon Evaluation Services (COES). As a service to our DUII Diversion Program clients, a DUI attorney at the Donahue Law Firm accompanies every one of our DUII Diversion clients to meet with COES personnel. You will have an attorney assist you with the necessary paperwork, and ensure everything is in order for your alcohol and/or drug evaluation. This ensures you are on the right track and headed towards successful completion of the DUII Diversion Program. You can count on the Donahue Law Firm. We will be with you every step of the way. For more information on the Oregon DUII Diversion Program, whether or not you may be eligible, and to speak with a DUII attorney about handling your case, contact the Donahue Law Firm today.